When it comes to choosing a family dentist in Bonita Springs, FL, you deserve to benefit from the best. Why not benefit from 5-star dentistry services with Pelican Landing Dental? When it comes to choosing a dentist, you need to make a wise investment because the dentist you choose will by caring for you for the next several years. You need to ensure the dentist you choose will meet your oral health needs today and in the future as well. However, when finding a new dentist, you are sure to have a number of questions. At Pelican Landing Dental, we know you have questions that need answered before you can make an educated decision. We have the answers to your top questions for peace of mind. At Pelican Landing Dental, we offer complete dental care with a number of areas of specialties due to the extensive training and qualifications of our team of dentists. Dr. Rich Gilbert is a graduate of the University of Florida College of Dentistry and has completed elective orthodontics course. As a result, we are not only able to offer the preventive and restorative care you need, but orthodontic treatments, including Invisalign. Working by his side is Dr. Lacy Gilbert, who is also a graduate of the University of Florida College of Dentistry. She has earned recognition for restorative dentistry, prosthodontics, and completed advanced education in general dentistry. This allows her to offer many areas of specialty, including oral surgery, periodontal therapy, and dental implants. On our team also includes Dr. Genevieve Garris, who completed her dental education at Tufts University School of Dental Medicine. Afterward, she went on to earn various awards in oral and maxillofacial surgery to provide patients with treatment for TMJ, dental implants, and much more. We take great pride in making each patient feel right at home when in our office. Our friendly and welcoming staff go the extra mile to ensure you are comfortable during your time with us. We offer certain amenities and the most advanced dental technologies to provide a high level of comfort while in our care. To put your mind at ease, our caring staff will even give you a tour of our office. Do You Have a Positive Reputation? Our 5-star services are supported by our reputation as an excellent dentist in Bonita Springs, FL. Our patients have come to know us as part of their family as we provide comfortable and complete dental care. We are supported by numerous positive patient testimonials and various 5-star reviews because we strive for excellence with each and every patient. We understand the important choice you face when choosing a new dentist. Make an investment in your oral health and comfort with the 5-star dentistry services you deserve. We will show you a different side to dentistry with our elite dental care. 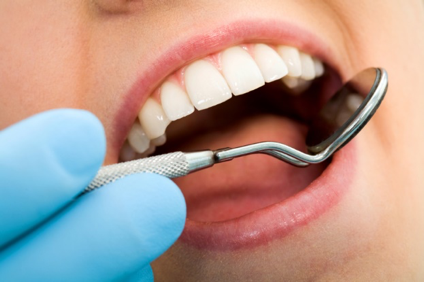 If you are in need of a new dentist, contact our office today to benefit from the best.